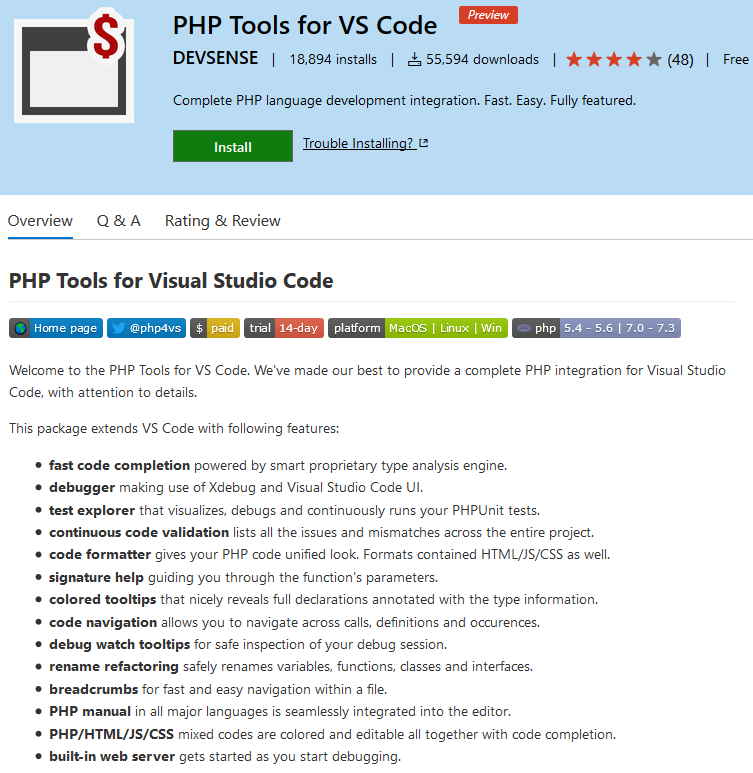 In this article, you will find out how to install PHP Tools for VS Code. Getting it running is fast and simple, and it will take you just a few minutes. Step 1 - Install VS Code for macOS. Visual Studio Code is a free, open-source code editor that works for Windows, Linux and macOS 10.9 or higher. You can download it directly from its download page. If you need a detailed setup guide, click here. Step 2 - Install PHP Tools for VS Code. There are three ways to install PHP Tools for VS Code. All of them are quick and simple. You can choose the one that works best for you. The first way to install the extension is from the Visual Studio Marketplace. Go to PHP Tools for VS Code on the Marketplace. Click the green button "Install" and open VS Code when prompted. When PHP Tools for VS Code opens, just click "Install". 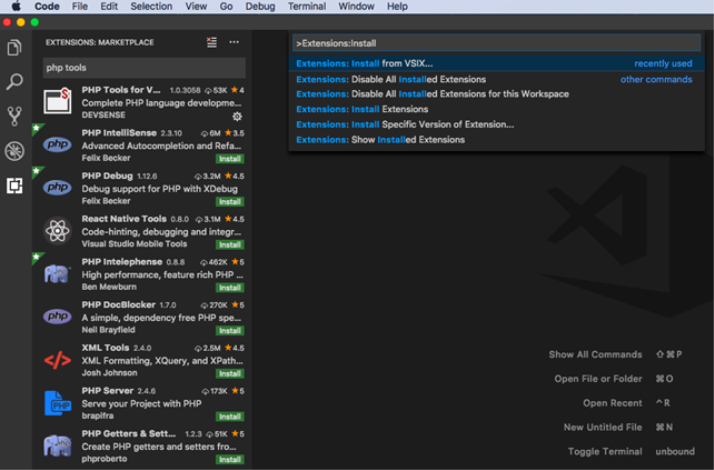 The extension can also be installed through the VS Code's extension manager. Click the Extensions (Cmd+Shift+X) icon on the Activity Bar on the left of the main window. 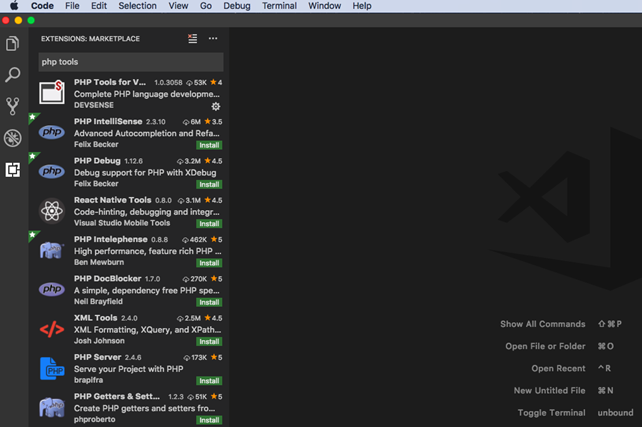 If you cannot see it there, open View/Extensions from the menu. Write "PHP Tools for VS Code" in the search input box. Select it. 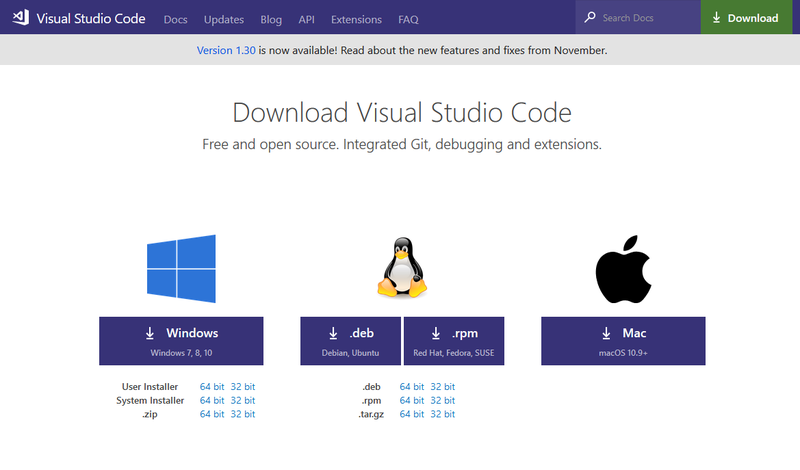 The last way is to download the extension file and install through the VS Code menu. 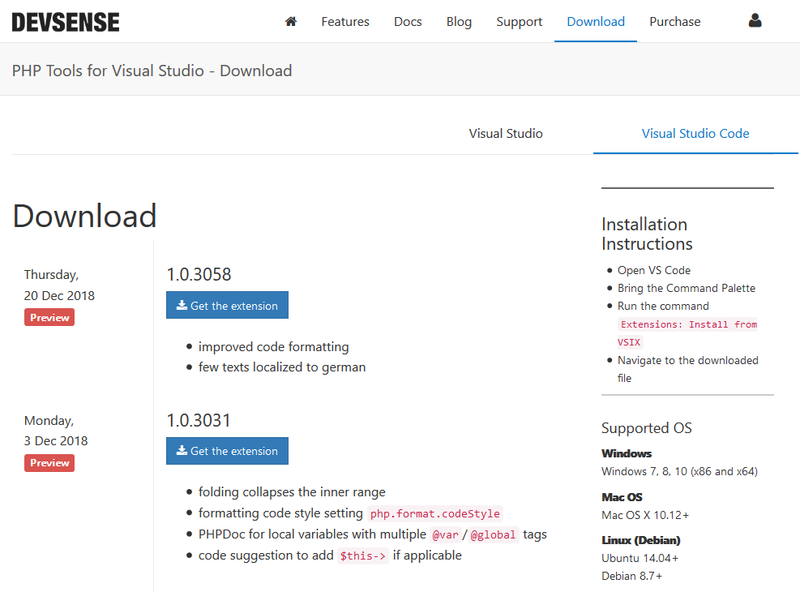 Download the .vsix installation file from DEVSENSE's download section. When the download is complete, open VS Code. in the quick search box. When the Open File Dialog opens, select the file with the .vsix extension which you downloaded. Note: Activation of the product requires Internet connection. For more detailed information, you can refer to managing extensions in VS Code. After the successful installation, you should be prompted to activate your copy of PHP Tools. A pop-up window will show during the extension startup. Activation requires internet connection. "I have the license key" allows you enter the license key section and activate the extension. "Get trial" sends you an e-mail with 14-day license key. "More information" will open this web page with purchase options and license information. Once you have the license key and close the pop-up window above, you can activate your copy of the extension using the VSCode's View - Command Palette (Cmd+Shift+P), command PHP Tools: Activate extension. Enter your license key and confirm pressing Enter. After installing PHP Tools for VS Code, the PHP settings will be as shown in the following table. You can see all the preferences in the Code > Preferences > Settings menu. "php.executablePath": "" Path to the 'php' executable. Full path to the php program, or not set. "php.problems.exclude": null Path patterns to be ignored from reporting problems. Value can be set to 'true' to ignore all problems or a comma separated list of specific problem codes. Associative map of paths and whether to exclude them from problems checking. "php.format.codeStyle": "PHP Tools" Code style standard. "PHP Tools", "PSR-2"
"phpTools.language": null Language of PHP Tools IntelliSense. "en", "de", "es", "fr", "ja", "pt", "ro", "ru", "tr", "zh", or not set. "phpTools.language": null Show a CodeLens above each test or suite for running or debugging the tests "en", "de", "es", "fr", "ja", "pt", "ro", "ru", "tr", "zh", or not set. "phpTools.phpUnit.codeLens": true Show a CodeLens above each test or suite for running or debugging the tests true or false. "phpTools.phpUnit.codeLens": true Retire or reset all test states whenever the test tree is reloaded Read more on PHPUnit. "phpTools.phpUnit.onStart": "" Retire or reset all test states whenever a test run is started Read more on PHPUnit. If you have validation problems or in any case of need for linting, extra PHP options are as follows. For debugging purposes, PHP has Xdebug. You can read about Xdebug features here. For macOS users, you can install the Xdebug extension for your version of PHP using Homebrew. They recommend using PECL to install it. Another option is to compile the source code and then install. Now you are ready to start your first project! Getting Started with PHP Tools: First PHP Project.